Laurie Lucking: Love is in the Air Giveaway! Common is almost here, and it's in its first giveaway!! 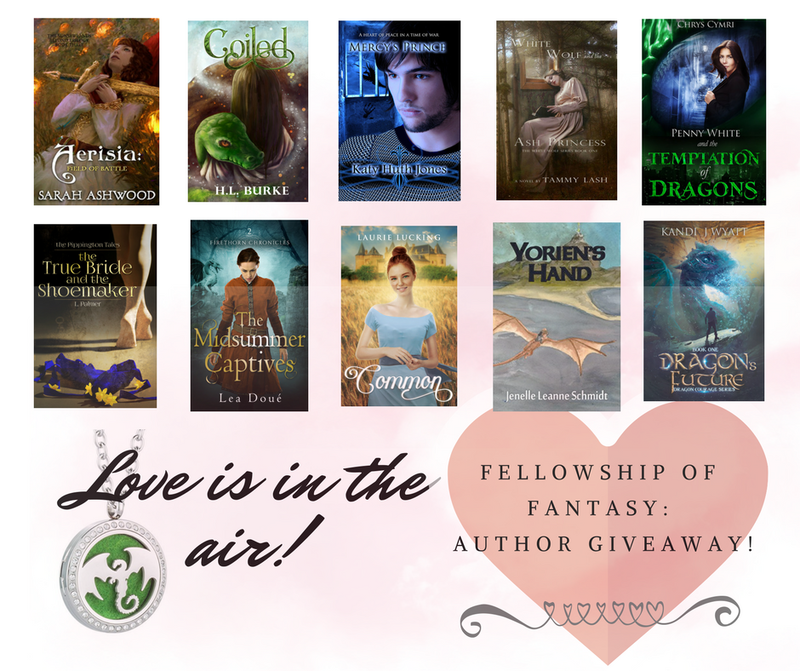 I've banded with some other authors from the Fellowship of Fantasy to put together a giveaway called "Love is in the Air" of TEN ebooks plus an awesome dragon essential oils diffuser necklace! Entries start today and go through February 18th! Want to find out more about some of the authors and their books? Check out their websites! Also, everyone who enters this giveaway can be a winner, because even if you don't win the necklace and entire set of books, one of the books in the giveaway, White Wolf and the Ash Princess, is free this week! You can grab it here!